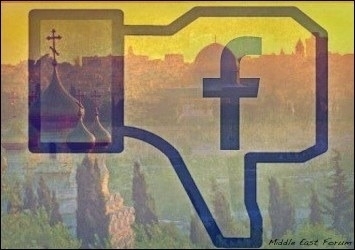 Is Facebook Biased Against Israel and Jews? Originally published under the title "Facebook On Incitement Against Muslims And Jews: A Tale Of Two Responses." Facebook has been slow to take down pages inciting violence against Israelis and Jews. Although Facebook's ground rules officially prohibit bullying, harassment, and threatening language, last year it received numerous complaints about online incitement. On January 18, Facebook launched an initiative to prevent anti-Muslim hate speech on its German platform. But, according to a lawsuit filed in New York state court and a highly-publicized "experiment," Facebook has no problem with anti-Jewish incitement. Last October 20, the German daily Bild printed a double-page newspaper spread documenting racist vitriol posted on Facebook against migrants. On November 10 – days before the Paris attacks – Hamburg prosecutors launched an investigation into Facebook for allegedly failing to remove racist postings. The investigation was reportedly motivated by concern over "how the country's long-dormant far-right was using Facebook to mobilize" against the influx of refugees. In other words, it was motivated by concern over anti-Muslim and anti-Arab posts. Perhaps stung by that criticism, mere days after two Muslims murdered fourteen people in San Bernardino, California, CEO Mark Zuckerberg vowed that Facebook would "create a peaceful and safe environment" for Muslim users. On January 18, Facebook launched a Europe-wide campaign to "thwart extremist postings." This was part of an agreement it reached with Germany. Steps Facebook has taken include hiring the German company Bertelsmann to monitor and delete racist posts to its German platform and funding non-governmental organizations devoted to countering online extremism. Facebook responds differently to complaints about incitement against Muslims and Jews. There was another Facebook-related headline on January 18. NBC News reported that Shurat HaDin (an Israeli NGO modeled on the Southern Poverty Law Center) was crowdsourcing to raise funds for an ad campaign. Entitled "Zuckerberg don't kill us," the campaign is part of an effort to pressure Facebook not to continue tolerating posts inciting Palestinians to kill Jews. The recent wave of Palestinian attacks had killed 29 Israelis and injured 289 as of January 18. According to Shurat HaDin, Facebook actively assists people inciting murderous attacks against Jews to find others who are interested in acting on the hateful messages by offering friend, group, and event suggestions and targeting advertising based on people's online "likes" and internet browsing history. What is more, Facebook often refuses to take down the inciting pages, claiming that they do not violate its "community standards." Last October, Shurat HaDin filed a lawsuit against Facebook in New York state court, seeking to enjoin Facebook from allowing the incitement to continue. Shurat HaDin demonstrated Facebook's bias by conducting an online experiment. On December 28, it set up two Facebook pages, one filled with anti-Semitic and anti-Israel postings, the other with anti-Muslim and anti-Palestinian postings. The NGO then ratcheted up the incitement level with parallel posts to both pages, ultimately calling for death to Jews and Arabs. Then, Shurat HaDin simultaneously reported both pages to Facebook. The same day, Facebook closed the anti-Palestinian page, stating that it violated Facebook's community standards. And the page inciting violence against Jews? Initially, Facebook refused to shut it down. Instead, it sent a message reporting that the page did not violate Facebook's rules. Only after Shurat HaDin reported what it had done and media picked up the story did Facebook change its tune and close the page, claiming the page did indeed violate Facebook standards, and that the earlier message to the contrary had been a "mistake." Facebook must begin applying its 'community standards' evenhandedly. Now Israel is working to build an international coalition to pressure social media platforms like Facebook, Twitter, and YouTube to take greater responsibility for content posted on them. Ideas under discussion include developing legislation to prosecute social media platforms for failing to keep calls for violence and hateful materials off their platforms. The idea has reportedly gained traction in some European countries. Where is Facebook's initiative to prevent anti-Jewish incitement on its Israel platform? Why is Facebook responding so differently to complaints about incitement against Muslims and Jews? Is it too protective of Muslims, or too callous toward Jews? And how many times will its hypocrisy have to be exposed before it begins applying its "community standards" evenhandedly?